(winter 2003): 31-45. Shullenberger, William. "Into the Woods: The Lady's Soliloquy in 'Comus.'" Milton Quarterly 35, no. 1 (March 2001): 33-41. Treip, Mindele Anne. "'Comus' and The Stuart Masque Connection, 1632-34." American Notes & Queries, July 1989, 84-90. CONCEIT The conceit is a metaphor applied to compare two apparently unrelated concepts or objects. The term is derived from the Italian concetto, which means "conception," "notion," "idea," or "fancy." A conceit may extend throughout a poem, as seen in much poetry of earlier centuries, or it may be dense and focused, offering readers paradox as well as allusion and symbolism, a technique used in modern poetry. Advanced by the Petrarchan sonnet, the conceit was adopted by English Renaissance poets. Sir Philip Sidney wrote in his seminal "Defense of Poesy" (1595) that "the poet's talents stem from the fact that he is able to create from a pre-existing idea called the fore-conceit. Poetry is the link between the real and the ideal." He continued, "the poet . . . does not learn a conceit out of a matter, but makes matter for a conceit." Many examples exist in Shakespeare's poetry, as in his Sonnet 135, in which the term Will is applied to desire, determination, and intellectual pursuit, concluding with a pun on the poet's name. In his famous Sonnet 130, "My mistress' eyes are nothing like the sun," he adopts beauty as a conceit to undermine traditional ideas of feminine physical attributes. The conceit was transformed by metaphysical poets and poetry, in particular by the works of John Donne, in reaction to the Petrarchan model, which they found too predictable. The metaphysical conceit was designed to undermine expectations of the reader by developing unusual analogies. Donne's well-known compass reference in "A Valediction Forbidding Mourning" and his comparison of the emotional effect of God to that of physical ravishment in "Batter My Heart" are strong examples of metaphysical conceits. George Herbert's adoption of an altar in "The Altar" to represent his lonely heart as "such a stone / As nothing but / Thy power doth cut" is one of many conceits he used in his religious poetry. Richard Crashaw adopted Herbert's book on which to develop a conceit of his own in "on Mr. George Herbert's Book, The Temple." He extends the temple analogy to the object of his love, comparing the "fire" in her eyes to flame that would "kindle this his sacrifice," introducing references to angels and concluding by referring to her hand as a "shrine." Edmund Waller, as did many Cavalier poets, used the conceit of a fading rose in "Go Lovely Rose" in an effort to convince a virgin to sacrifice her innocence to him. 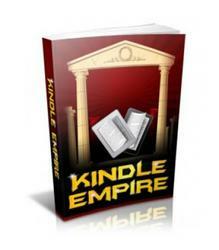 You Can Outsource 95 of Your Amazon Kindle Empire for Pennies! Over the last few months I've seen hundreds of Kindle publishers struggle to make good money. Even though they put out book after book, they just aren't getting the kind of passive income they'd always wanted. And it wasn't very long ago that I was in the same boat. I was publishing Kindle books in all kinds of niches, but just wasn't getting any sales.